Awesome site. His ENTIRE body of work, all downloadable. Scholarly supplements. And much, much more. Who’s that sneaking up to rescue Batman!?! 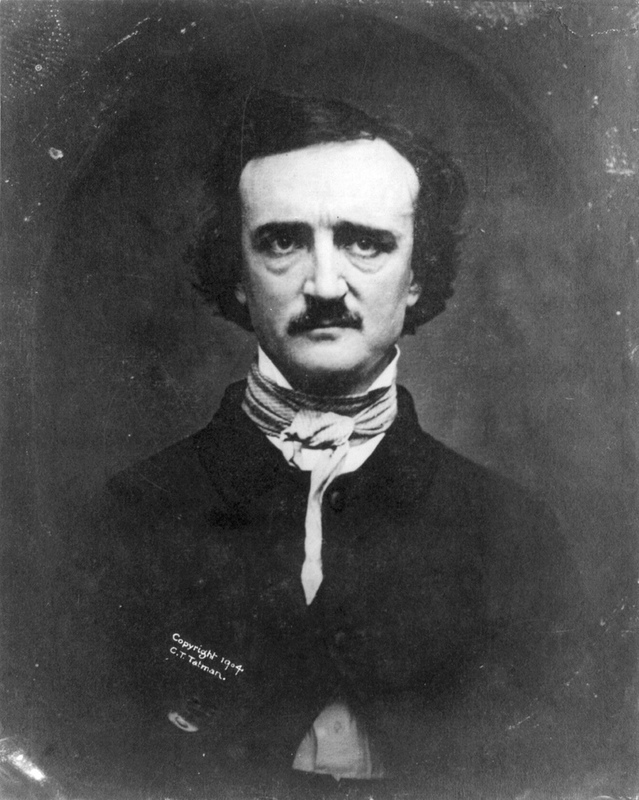 That’s right: Eddie Poe. And with a stick, no less. Going to bring some pain to that moody kitten. 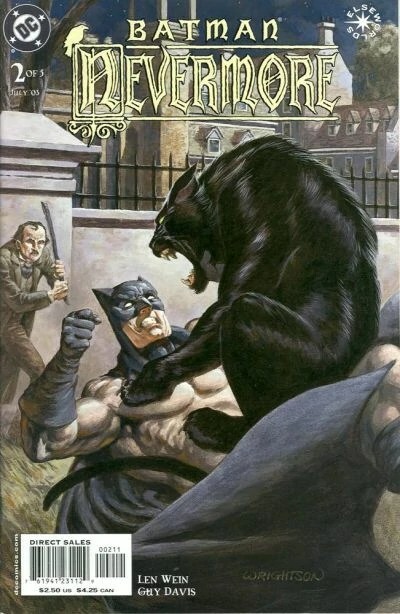 Either that or Batman and said kitten have stumbled into the middle of a good old game of American baseball while Poe’s at bat. Before Robin, the Raven had Batman’s back. 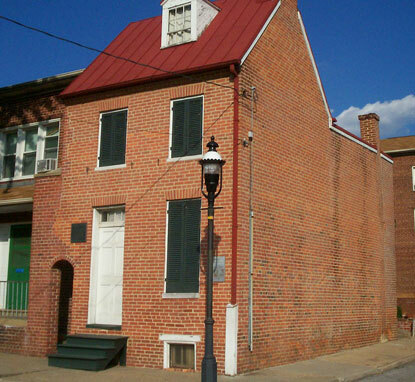 The Edgar Allan Poe House and Museum in Baltimore, MA, is nearing its demise. Reuters.com published an article today on the sad state of the museum’s finances. The small, unassuming brown building has been cut off from all public funding and has been relying on private donations to make up the $85 000 a year cost to operate. Jason Tomassini predicts the museum will close by June 2012. Sad news. With his level of literary productivity in mind, and the dark subject matter that captivated him, it’s little wonder Poe looks so tired. 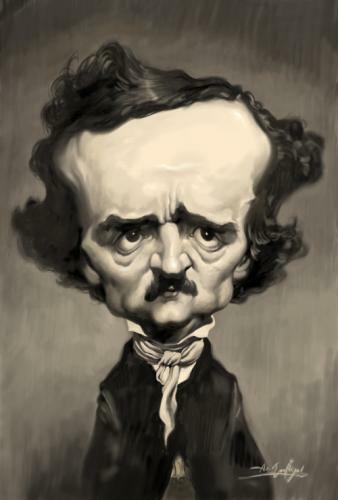 An ambitious editor, shrewd critic, poet, essayist, and the United States’ first master of the short story, Poe is remembered as a forefather of American literature (as well as an argumentative and unreliable alcoholic). In literary criticism, his contributions remain excitingly controversial. Outside the academy, Poe has been the subject of myriad tributes and parodies. The Simpsons have lampooned “The Raven,” and Poe’s macabre presence can be felt in other shows like CSI and Dexter. 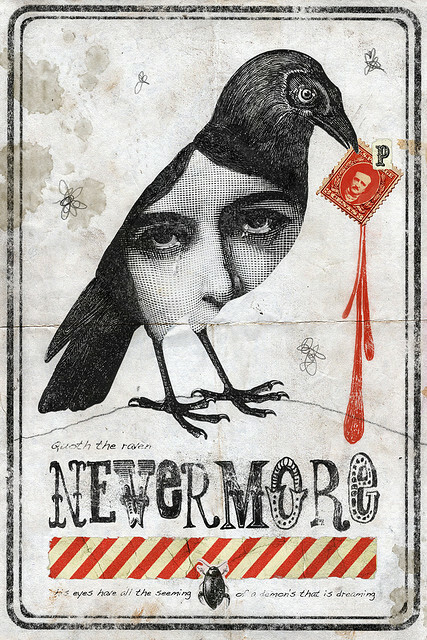 And on 9 March 2012, the film The Raven hits theatres, directed by James McTeigue (The Matrix Trilogy, V for Vendetta, and Ninja Assassin) and staring John Cusack as a fictional version of Poe forced to solve a series of gruesome murders fashioned after his tales. Moreover, Francis Ford Coppola, legendary director of the Godfather trilogy and founder of the American literary journal Zoetrope: All-Story, includes Poe as a character in his latest film Twixt (2011), which he promises is heavy with the imagery of Poe and Nathaniel Hawthorne (The Scarlet Letter). 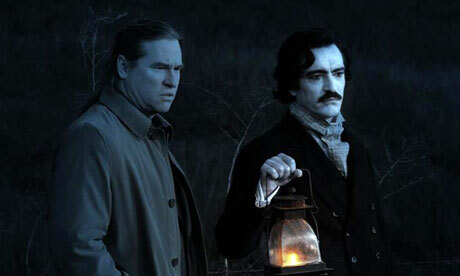 Below is a picture of Val Kilmer with Ben Chaplin as Poe in Coppola’s Twixt. Welcome to the companion blog of McMaster University’s English 2H06 American Literature course. Here you will find posts both directly and indirectly related to and inspired by the works discussed in lecture and tutorials. This is a space in which to explore the mobility and immediacy of American literature, to discuss the new and exciting ideas we’ll confront, and to explore how those works and ideas remain important today, as they manifest in our personal lives, popular cultures, political experiences, and more. I encourage everyone involved in English 2H06 to bring unique, daring, and imaginative ideas into conversation.